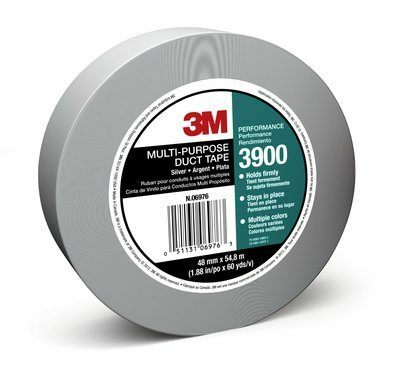 3M™ Multi-Purpose Duct Tape 3900 is designed for general use in MRO/construction applications. The 3900 duct tape sticks immediately and stays on for up to three years, with clean removal months after initial application. The strong water-resistant backing resists wear and light abrasion while providing a tight, moisture resistant seal.